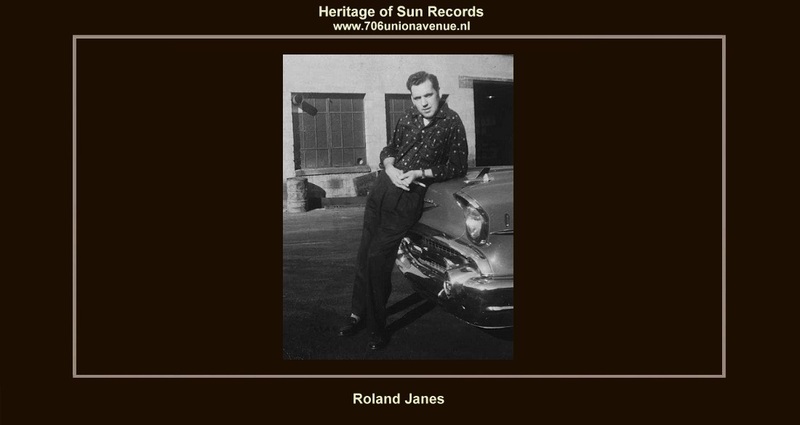 ARA RECORDS - Roland Janes opened Sonic Sound Studio on 1692 Madison Avenue in Memphis, Tennessee in 1962. He established a series of indie labels (ARA, Renay, Rolando) and scored hits with the wild instrumental "Scratchy" by the studio's teenage house guitarist, Travis Wammack, and Matt Lucas' frantic reworking of Hank Snow's "I'm Moving On''. Later releases on Ara list Nashville as a location. Roland Janes' success was short-lived, however. In November 1963, the Beatles hit the United States charts, and for the next year no one could get an American record played on the radio. Janes soon shifted his focus completely to the studio. In a sense, Sonic became a spiritual extension of the old Sun. Charging just $10 an hour and $3 for tape, Janes had an open-door policy, willing to take a chance on anyone with a spark of talent or a good idea. Over the next decade, Janes and his studio would help write the history of Memphis garage rock: Practically every teen band of the time was baptized into the recording world at Sonic. Many of them, like the Castels, Jades and Mudmen, conceived their classic works there as well. Local groups would regularly record tracks with Janes, then mime to them on George Klein's WHBQ "Talent Party" TV show. As future Box Tops guitarist Gary Talley would note, for a generation of kids in the 1960s, recording with Janes was "a rite of passage''. ROLAND JANES - is not exactly a household name. In fact, only those who are deeply involved with rockabilly music will know who he is. To the latter, though, his is a name revered. It was Janes, along with Scotty Moore and Carl Perkins, who developed the rockabilly guitar style at Sun Records. You'll hear far more from people who did far less than Roland Janes. He was never one for banging his own drum, and his accomplishment as a studio musician, producer, artist and repertoire man have tended to be overlooked. He was the guitarist whose solos on ''Whole Lotta Shakin' Goin' On'', ''High School Confidential'', and countless other Sun records are engrained in our collective memory. His work ran the gamut from the tasteful and economical little solo on the bridge of ''Raunchy'' to the deliriously over-the-top intro to Billy Riley's ''Flying Saucers Rock And Roll''. And don't forget that he played on and produced Harold Dorman's ''Mountain Of Love'', and issued it on a label he co-owned. As a producer, he recorded Travis Wammack's ''Scratchy'', Mat Lucas's ''I'm Movin' On'', and Jerry Jaye's ''My Girl Josephine'', all of them among the best records to come out of Memphis in the early to mid 1960s. Roland Janes was born on August 20, 1933, the second youngest in a family of seven in 1933 in a river town in North-East Arkansas called Brookings. It had once been an important lumber community and Roland's father, besides playing guitar, had earned a living as a lumberjack. By the time Janes was born, though, the lumber industry had died and his father had quit playing music. He did have an older brother who apparently played piano, organ and guitar and several of his cousins Loyd and Lonnie Snider, working in a semi-pro band in Corning, Arkansas, played fiddle, guitar, steel guitar, etc.. In fact, of the extended family, Janes was the last one to really start playing. Before Roland was ten, his parents had divorced. His mother moved to St. Louis and slowly collected each of her children. Roland moved in with her in 1942. For a while, he shuttled hack and forth between his two parents, and it was in 1945 or 1946, during one of the times that he had moved back to Arkansas to live with his father, that he first started playing. His first instrument was a mandolin. The music that he and his cousins made was stone country. On the radio, at that time he says, there was nothing available but big band or country music. "So I was not influenced at all by black music because I wasn't exposed to it. I came in contact with black music only when I came to Memphis and I'd already developed my style. I picked up on their style when the need arose. I could play blues. In other words, I m very perceptive, not bragging, but I'm very perceptive in that I can pick up on different styles very easily. But, I wasn't influenced by it, I was influenced by country and pop. In St. Louis I listened to people like Patty Page, Joni James and Les Paul. My father, he was a Pentecostal minister, so they had music in the church at that time. That was probably the basis, That's the basis of most country and rockabilly; the church''. Janes eventually moved to Memphis in 1953. Once there, he went directly into the Marine Corps. "When I came here, it was during the Korean conflict and I enlisted in the service because I was unemployed. I would probably have been drafted anyway because they were drafting at that time. So, I enlisted''. He'd moved to Memphis shortly before he entered the service and returned there after his discharge in 1956, Going to school under the GI Bill, he worked briefly as a laundryman and even ore briefly in a paint factory before turning to music. Shortly after returning to Memphis, Roland saw an ad placed the local newspaper by Doc McQueen, a pianist who ran a small demo studio from his home. McQueen also led a band at the Hideaway Club, and he'd given a break to Johnny Burnette and The Rock And Roll Trio, who'd just gone to New York and called him en route to say they wouldn't be in that night or ever again. McQueen was looking for a guitarist, and Roland got the job. Through McQueen, Roland met steel guitarist Kenneth Herman who introduced Janes to Jack Clement, who was involved with Slim Wallace in trying to launch a local record label. Wallace had built a studio in his garage on Fernwood Street and their company was to be called Fernwood Records. Their first artist was to be Billy Riley, who was also from northeast Arkansas. Riley was working up some songs for the first Fernwood single, and Clement took them to Sam Phillips at Sun mastering. Phillips liked what he heard and Riley's first effort led to an engineering job at Sun for Clement and a contract for Riley. Soon, Riley's group earned a reputation as one of the hottest working band in the mid-South, and played on countless Sun sessions. Between 1956 and 1963, Janes was one of the anchors of the 'house band' at Sun Records. In those seven years, he played on the majority of Jerry Lee Lewis' one hundred and fifty plus Sun recordings, was a founding member of Billy Lee Riley's Little Green Men, and hacked up a plethora of lesser Sun artists from Charlie Rich, Sonny Burgess and Barbara Pittman to such unknowns as the Memphis Bells, Jeanne Newman and Tony Rossini (he played a session behind the latter in June of 1962 which included Scotty Moore, Booker T. Jones, Al Jackson and Steve Cropper on bass). Roland Janes was also the resident guitarist at OJ Records, and can be heard beneath the omnipresent organ on OJ's only hit, Brother Dave Gardner's ''White Silver Sands''. In 1957, he quit Riley to work on the road with Jerry Lee Lewis. He and Jerry roomed together, and he insists that in those early days it was Jerry's bass player/father-in-law, J.W. Brown, and his road drummer, Russ Smith, who were the hellraisers. Falling with out Jerry Lee after a few months, Roland worked a short spell with Bill Justis, then riding the crest of the wave that began and ended with ''Raunchy'', before returning to work with Jerry Lee shortly before the illfated tour of England in May 1958. They worked together until 1959 when Roland returned to Riley's group. By that point he had married and was beginning to question whether he wanted to spend the rest of his days working the road and making forty bucks or less on sessions that led to million-selling records. He and Riley came up with an idea that they would become moguls. ''When Sam Phillips put in the new studio on Madison Avenue'', said Roland, ''Bill and I went to Sam and asked him to let us retain the old studio and record there with the product going to Sun, but we never actually resolved the question and just drifted into doing our own thing. Rita Records was a co-op deal, Bill and I played on everything, which naturally eliminated having to pay a couple of musicians, and we used our old buddies Martin Willis and J.M. Van Eaton. Jimmy Wilson had left the scene (he was working in California with Johnny cash and others) so we used Tommy Bennett and Larry Muhoberac on piano. We came up with a partner, Ira Lyn Caughan, who had a little money. He was an accountant, and we named the label after his daughter. We were searching for a name, and couldn't come up with anything we liked. Mr. Vaughan had a picture of his daughter on his desk, and she was a very pretty young lady. I said, 'What's your daughter's name'? He said, 'Rita', and I said, 'Let's call it Rita Records'. Mr. Vaughan did all the paperwork, and Bill and I took care of production and getting records to distributors. Riley was a tremendous salesman. He could go in, talk someone into something, and probably talk them out of it before he left. He was a much better salesman than me, But I probably had a better business head. We worked out of our homes, but the company address was Mr. Vaughan's business''. Even before Rita Records started, Roland Janes and Billy Riley had made several tentative gestures in the same direction. They leased an instrumental version of ''Fireball Mail'' to Jaro/Top Rank via Bill Justis. It had been recorded under a pseudonym, The Spitfires, to sidestep Riley's contractual obligation to Sun. ''We borrowed from Duane Eddy and the Champs'', said Roland, ''combined the two, and came up with a tremendous flop''. Before that, Roland had cut an instrumental single that coupled ''Patriotic Guitar'' with the broody and menacing ''Guitarville''. The single was conceived at Sun when Roland was working with Jerry Lee Lewis. Jud Phillips, who had resurfaced to take over Jerry Lee's management after the fiasco in England, started Judd Records after falling out with his brother, and Roland's record came out on Judd. There was some ill feeling between Sam and Roland as a result because it had been cut at Sun, but the record wasn't big enough to cause lasting friction. It showed up on some local charts and bubbled under the Hot 100 but failed to break out. Rita Records was launched in September 1959. Roland Janes and Billy Riley released their own records together with singles by J.M. Van Eaton and Martin Willis. Riley doubled as a blues singer named Lightnin' Leon. The first and only hit on the label came in 1960 with Harold Dorman's ''Mountain Of Love''. Roland had played on Dorman's 1957 Sun session, and saw more promise than is evident in those very halting demos. ''I knew Harold was a great songwriter'', he said, ''and I couldn't see why someone didn't pick up on him''. They recorded ''Mountain Of Love'' at Hi Records with Jack Clement behind the board. The record climbed the charts, eventually peaking at number 21 on the Hot 100, but things soon started to go wrong. There were disputes between Rita Records and its distribution partner, Bill Lowery. Riley sold his share in the label just as ''Mountain Of Love'' was breaking, and the label folded soon after the follow up, ''Moved to Kansas City'', stiffed. Roland had to lay low for a while, and moved back to St. Louis. Returning to Memphis, in 1961-1962, Janes opened his own Sonic Studios on Madison Avenue. As well, he was the sole owner, part owner and or session player for a host of small independent Memphis labels throughout the 1960's and early 1970's. ''I leased the building, had it partially completed and then I ran out of funds'', he said. ''It just sat there a good while before I got together enough money to put in the rest of the equipment. I looked at some other studios and saw what they were supposed to look like and how the technical end was handled. We had a big room, 30 x 60 feet, with a soft metal ceiling and we hung burlap bags up there to trap the bass sound. We got a good clear sound out of that studio after some experimentation''. Roland's ideas on production were based on what he had learned from Sam Phillips. ''Sam taught me not to hold back. Just do it and have a good time doing it. Don't get hung up on little minor mistakes. If it feels good, that will come through on the tape''. For Roland, owning a studio a backward step in terms of recording himself: ''Every musician wants his own studio and it's the worst thing that can happen to you. You think you can finally please yourself but you end up trying to please everyone else just to keep the place afloat. We also thought of ourselves as background musicians and never thought a lot about being featured artists. Even so, we always intended to record more but always put it of''. Three hits came out of Sonic: Matt Lucas's ''I'm Movin' On'', leased to Smash/Mercury, Travis Wammack's ''Scratchy'', released on ARA and distributed through Atlantic, and Jerry Jaye's delightfully retro ''My Girl Josephine'' on Hi Records. ''I remembered Travis from when he was a little kid'', said Roland. ''and then, after I started the studio, several people told me that Travis was real good on electric guitar now. He had been playing acoustic and singing back when I first remember him. He was working with a friend of mine, Prentiss McPhail, and Prentiss brought him into the studio''. Wammack remembers hitting some hot licks for Roland. ''Later on, Roland even gave me the keys to the studio so I could go and rehearse'', he said. ''He gave me a break and I couldn't believe it because he was the top picker around''. ''Travis was so good'', said Roland, ''that he would become impatient with the other musicians. He would play part and theirs too. Sometimes he'd sound like a lead guitar, rhythm guitar and horn section – all at the same time. I told him to slow down or I'd have to get out my guitar and cut him''. Roland had just leased some cuts by Narvel Felts to Chet Atkins at RCA, and he sent ''Scratchy'' to Chet who sent back a note saying, ''This scares me. I pass''. Eventually, Roland issued the single on ARA, a label he -co-owned with Wayne Todd. Atlantic Records acquired the distribution, and it eventually reached number 80 on the Hot 100, but stunned a generation of guitarists with its new possibilities. The biggest hit to come out of Sonic was Jerry Jay's ''My Girl Josephine''. It was a custom session for which Roland received $13.00, and his principal contribution was to persuade Jaye not to overdub horns and a chorus. The record first appeared on Jaye's own Connie Records before Joe Cuoghi picked it up for Hi Records in February 1967 after it got heavy play on WMPS. Nationally it reached number 29. At the very least, Jerry Jaye gets in the history books for cutting the last hit that cost less than twenty bucks. Sonic operated during a transitional period in Memphis music. ''We were coming out of the rockabilly thing into something with a heavier beat and in some ways more musically advanced'', said Roland. ''The music we cut was real transition music. It had a little rockabilly, a little soul and so on''. For troublesome customers, Roland had a knob on the console that said ''Control All''. He'd invite the client to adjust it while he ran the tape. They'd play with it until they were satisfied, and had no idea that it wasn't wired to anything. After the closing of Sonic in 1974, Roland Janes, for the most part, got out of the record business for a couple of years, Roland was to return in 1977 as a producer and engineer at the Sounds of Memphis Recording Studio and, in 1982, at the Phillips Recording Studio on Madison Avenue. In between, he worked as an instructor of recording techniques at a predominantly black vocational school in South Memphis. At Phillips, he engineered Charlie Feathers' Elektra album and Charlie Rich's last album for Sire Records. With his eightieth birthday on the horizon, he still administers the old Sun publishing catalog, Hi-Lo and Knox Music, and engineering sessions at Phillips Recording. Artists including Phil Collins and Bob Dylan, will come to Phillips Recording simply no one in Memphis who knows more about how to make a record. Roland Janes had been way overweight for years, and his knees troubled him, but he'd spiffed himself up with some hair color and new glasses. In September 2013, Janes had a heart attack, and went swiftly downhill from there. He went into the hospital on October 3, and on October 17, Knox Phillips say that Roland's wife, Betty Janes and the kids had opted to remove life-support after a scan revealed serious brain damage from a stroke. Roland Janes died the following day, a couple of months past his eightieth birthday. His family was with him, and Jimmy M. Van Eaton had dropped by the hospital to check on Roland, only to be present at the moment of his passing. The funeral was on October 22, 2013. A slideshow showed Roland at different stages of his life and career. Among the shots was his Bear Family LP, Guitarville, the only album ever released under Roland Janes' own name.